Here another Panjwani game from recent 4NCL action from TWIC 949. The position has a strong hedgehog flavor with white’s e4/c4 pawns cramping black’s position. How should black play? Black has sacrifice the exchange for dark square counterplay. White’s kingside has been broken up but now what should black do? 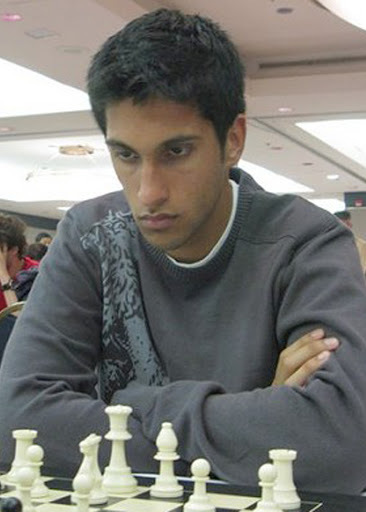 IM Panjwani,R(CAN) scored 1/2 in 4NCL play (TWIC 949). Here is his win. White played both sides of the board to which black gave up two pawns. Now it is time for kill. What should white play?